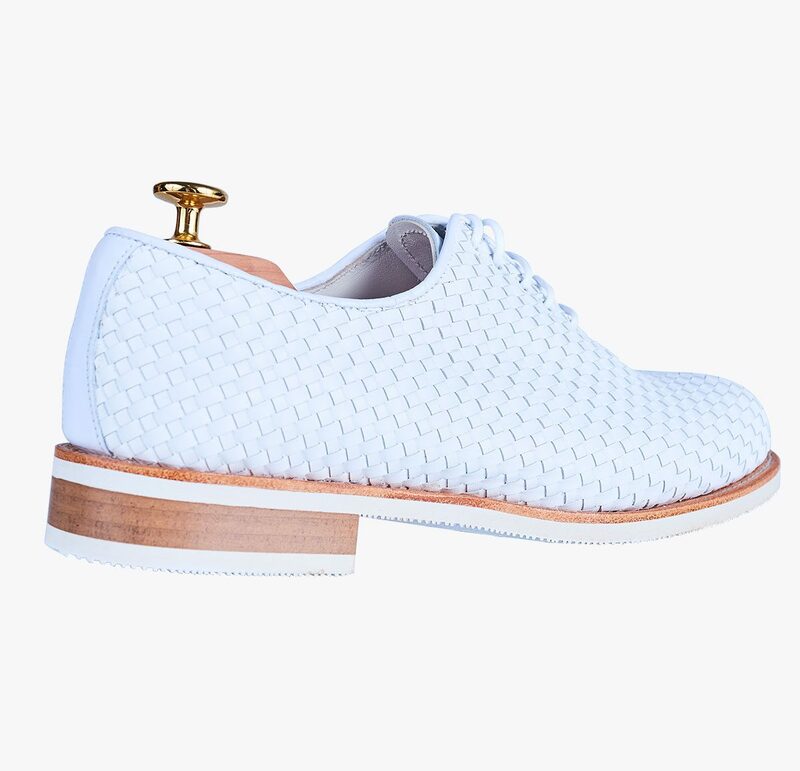 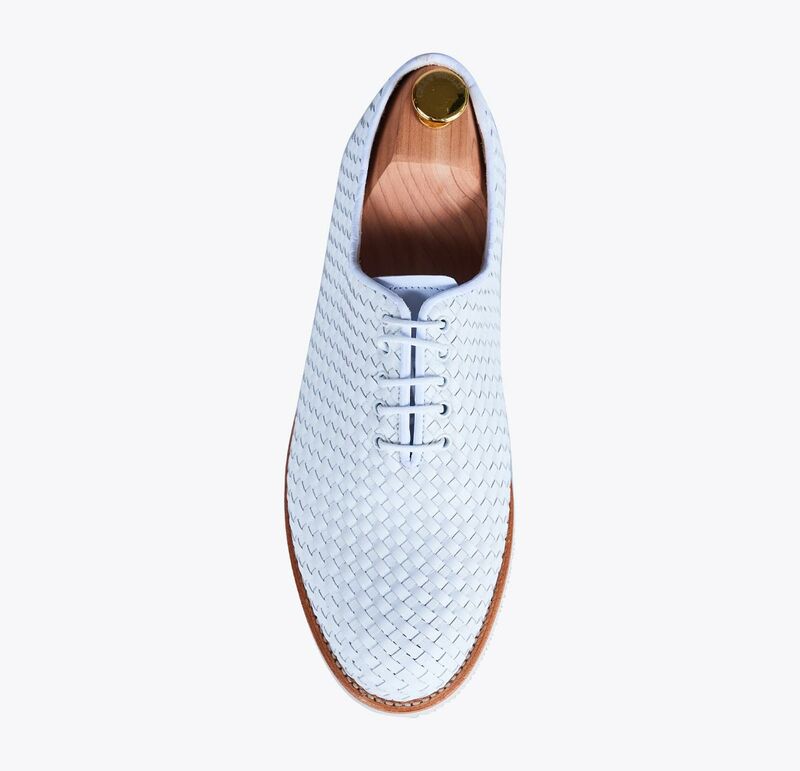 One-piece shoe, vegetable tanned, plaited white leather. 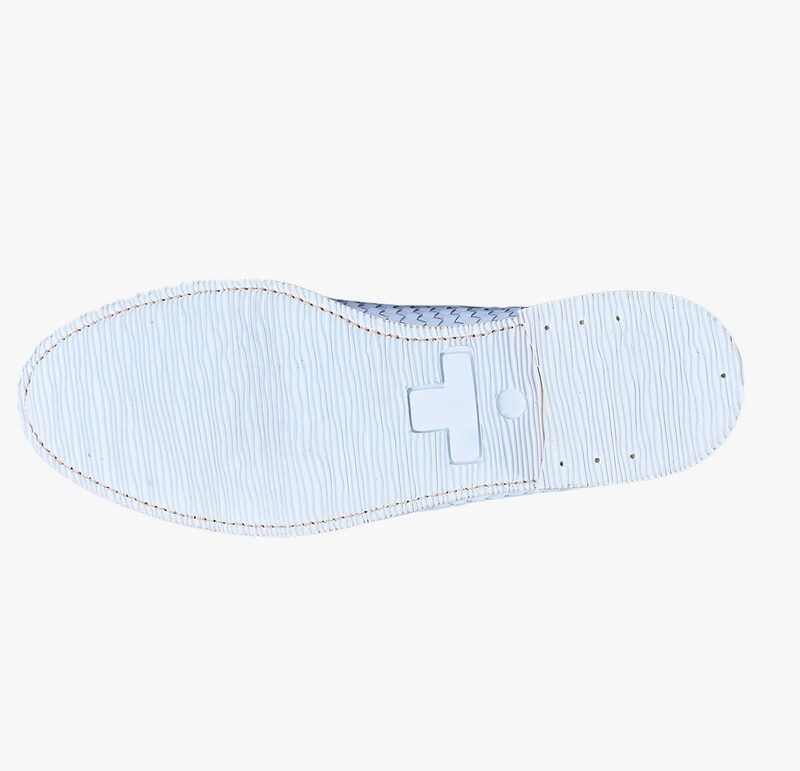 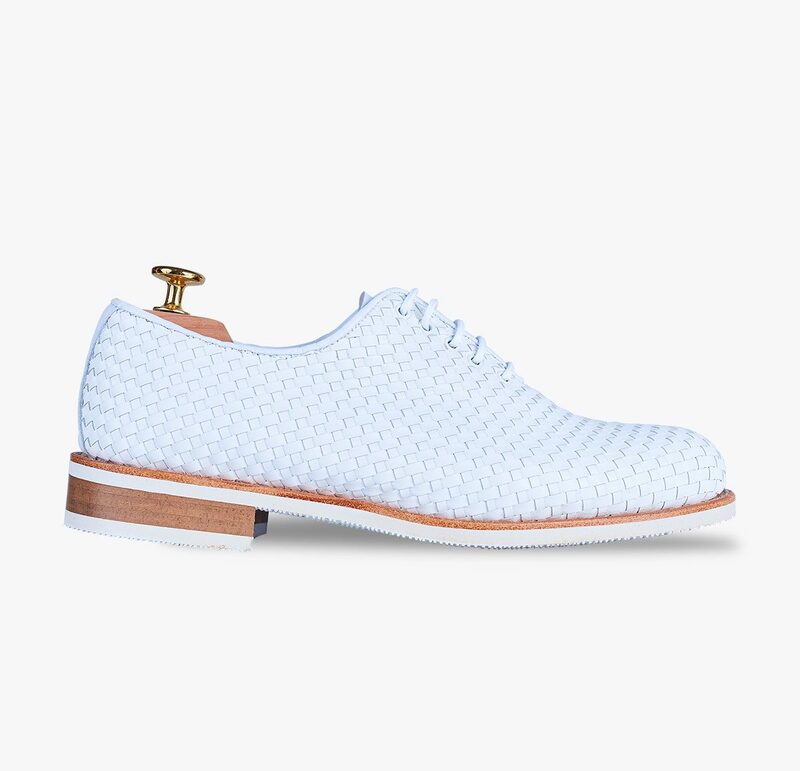 Finished with an extra light, white rubber sole, which provides comfort and elegance. 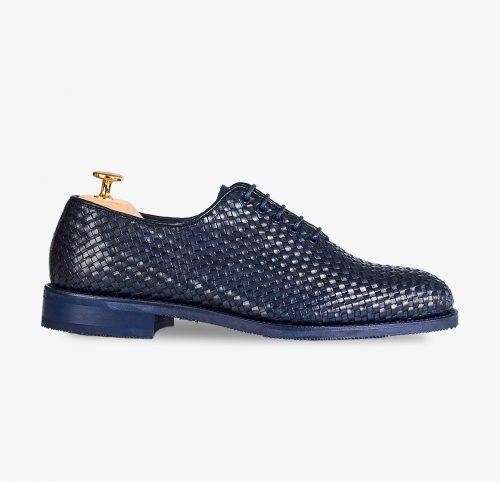 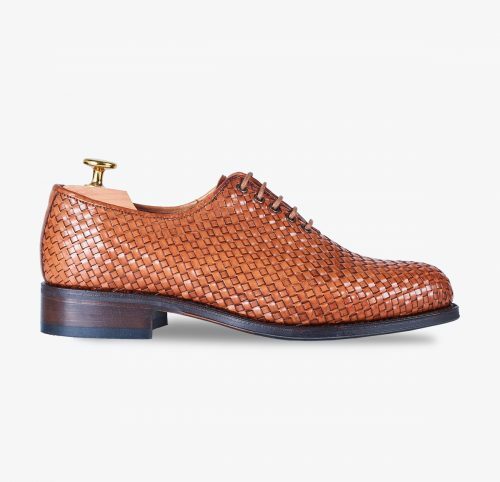 The perfect shoe for the summer season, giving a touch of distinction to your everyday look. 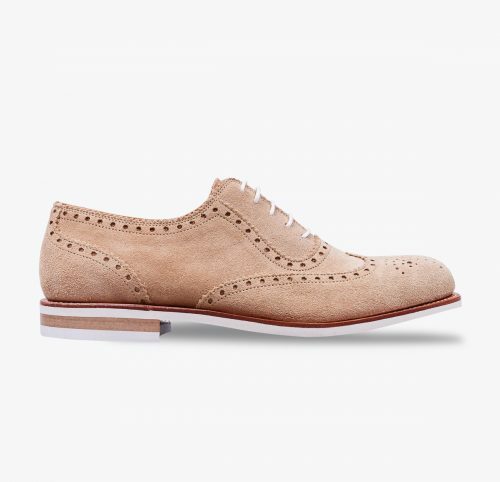 Zapato enterizo de cordones en piel de vacuno vegetal trenzado color cuero. 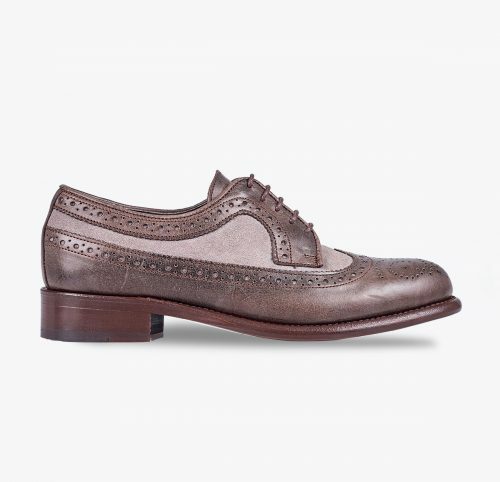 Forrado con piel de vacuno marrón .